Farm Fresh Kids Cutlery Set. 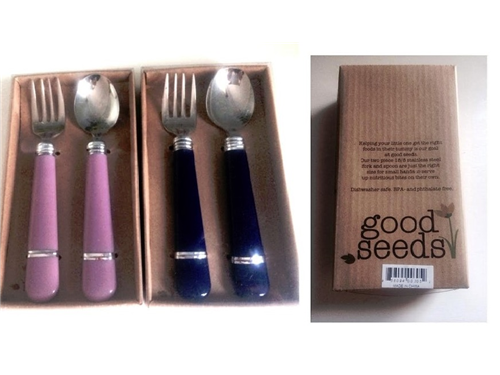 Two-piece stainless steel cutlery set with royal blue handles. 5 ¾” long - Just the right size for small hands. Engraved smiling faces on the stainless steel. 18/8 high quality stainless steel. Dishwasher safe. Plastic free. BPA, melamine and phthalate-free. Packaged in retail box.